Every time you look into the marketing world you witness the advancement in it. In the case of online advertising, the businesses are searching for more efficient ways to attract audiences. 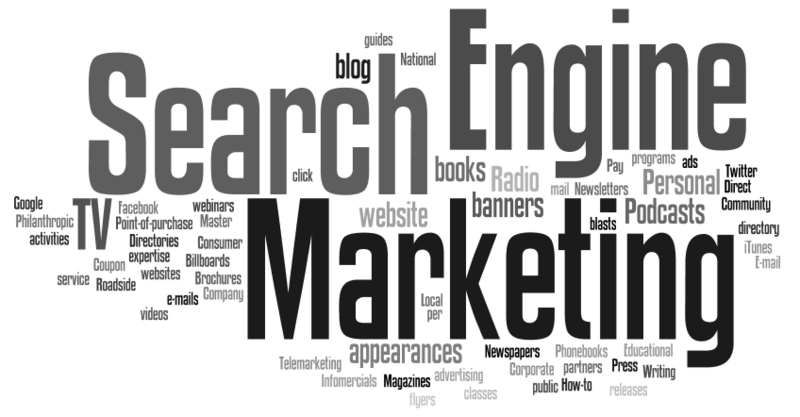 Search engine marketing has become the best alternative for businesses. 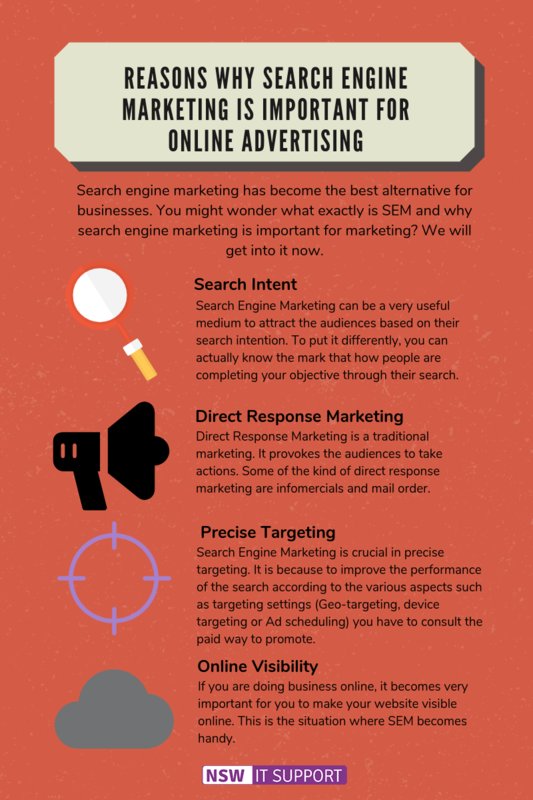 You might wonder what exactly is SEM and why search engine marketing is important for marketing? We will get into it now. In general, Search Engine Marketing is a form of marketing to increase the visibility or rank your business higher in search engine result pages. This increases the chances to boost up your business. In this article, we will be emphasizing on Search Engine Marketing and why it has become much more important for online advertising. Search Engine Marketing can be a very useful medium to attract the audiences based on their search intention. To put it differently, you can actually know the mark that how people are completing your objective through their search. You can improvise your marketing strategies such as the call to action and landing pages if you are able to realize how people want to search. Direct Response Marketing is a traditional marketing. It provokes the audiences to take actions. Some of the kind of direct response marketing are infomercials and mail order. Search Engine Marketing works somewhat in a similar way. It also stimulates the audiences to take some actions that result in lead generation. People search online through search engines and when they make a search they are targeted through search engine marketing. The marketers or business owner have the chances to convert those traffic to their potential customers if they are targeted well using SEM. In Google, over 3.5 billion searches are performed every day. And do you know that any of these searches does not apply to you? This is to say that you need to be good at precise targeting. Keyword targeting is all-important. Search Engine Marketing is crucial in precise targeting. It is because to improve the performance of the search according to the various aspects such as targeting settings (Geo-targeting, device targeting or Ad scheduling) you have to consult the paid way to promote. Google Adwords provides most of the targeting settings but if you want more setting and increase your performance you have to go for paid search. If you are doing business online, it becomes very important for you to make your website visible online. This is the situation where SEM becomes handy. Search Engine Marketing becomes very crucial here because it allows you to choose the meaningful keywords right for your business and help to increase the organic traffic. In the meantime, it also helps you to earn through ads as search engine place the ads relevant to your keyword contents. Hope this article helps you to know that why Search Engine Marketing is important for local as well as established businesses.